Beautiful hair, skin and nails really begins in the GUT! 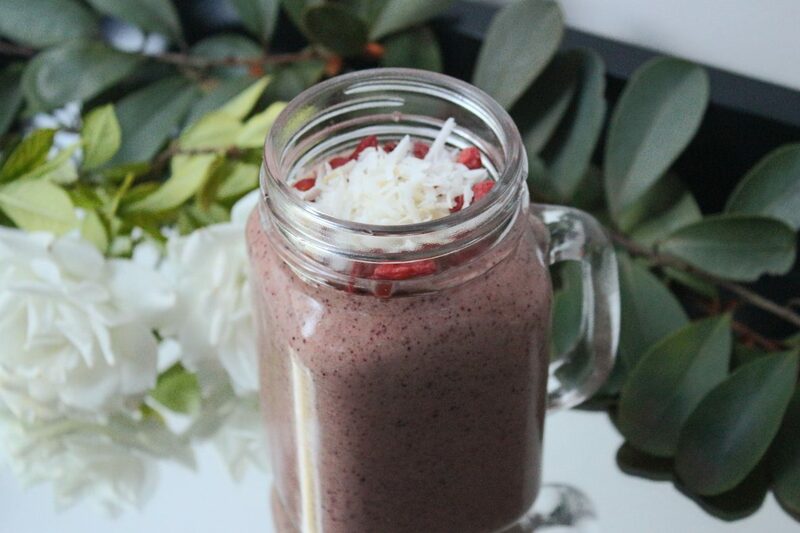 Super easy breaky to throw this is in your blender, before you run out the door, or a 3pm pick me up! I choose to you The Beauty Chef products after trialing LOADS of other products on the market. I’ve had quite a few issues with my gut which took me on this path of healing and sealing. I have found that the Inner Glow Powder and Collagen Boost really made a difference. If you are having any digestive issues, I would love to chat with you and work on a specific plan for YOU! Alternatively I recommend you doing your own and look at ways you can remove anything that is aggravating, heal and seal the gut and then look at reintroducing foods. You can also make this by substituting them for raspberries and flax-seed oil, for your does off antioxidants and collagen. Add all ingredients to your nutribullet, blitz for 20-30seconds and Enjoy!